PSIGEN is a fully autonomous cryptocurrency trading bot designed by Malaysian blockchain company Everus that exists within the Everus Multi-Crypto Wallet. Targeted towards those seeking passive income in cryptocurrency, PSIGEN conducts crypto trading without the need for human input and works within programmed parameters, ensuring that every trade is risk-free from loses. The hype surrounding crypto trading might not be as robust as it was at the start of 2018. But for many, the interest in making a buck off crypto trading still holds strong, and with there being so many platforms on which to buy and sell crypto on, it’s easy to see why. 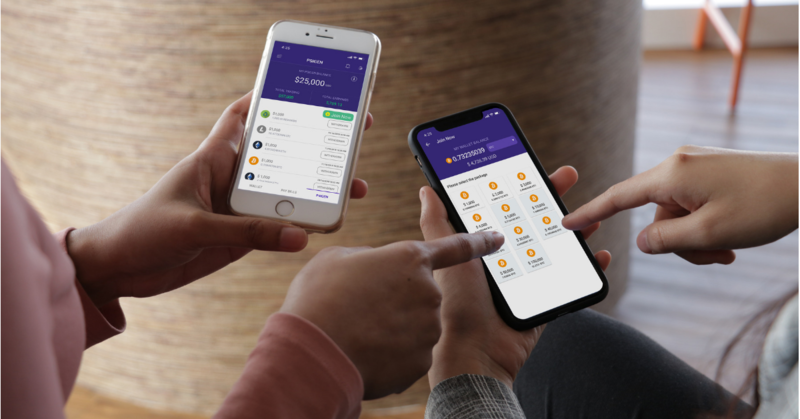 One of these platforms is the Multi-Crypto Wallet by local blockchain company Everus—an e-wallet for cryptocurrency available on iOS and Android that contains the functions usually found on normal fiat e-wallets, but that also adds in a couple of stand-out components that revolve around making the user experience as worthwhile as possible. One of these special components is an artificially intelligent bot called PSIGEN that has the capability to trade cryptocurrencies (such as Bitcoin, Ethereum, Litecoin and of course Everus’ own EVR token) autonomously without the need for human input. The PSIGEN bot exists within the Everus Multi-Crypto Wallet as one of the key features alongside their versatile Everus Rewards programme (which you can read about in a previous article). The whole working of the system revolves around the concept of allowing inexperienced crypto owners to trade their coins and profit even without understanding the finer nuances of crypto trading, consequently providing them a golden opportunity to start a stream of passive income without the need for much resources. According to the Everus team, while intelligent trading bots aren’t exactly a new development, they thought it prudent to introduce the technology to a wider audience. Where other trading bots are catered more towards professional traders with keen knowledge of how to operate and set parameters based on a detailed strategy, the team told us that PSIGEN operates in a manner that allows anyone—even the most inexperienced individual—to get their feet wet in cryptocurrency trading and do it without the danger of making risky mistakes. This equates to a possible scenario where one could conceivably just entrust their crypto with PSIGEN and rely on it to make some extra dollars, all while they go about their day working, eating, socialising, and resting while the value in their Everus wallet continues to grow. Addressing this particularly interesting trait of PSIGEN—the capability to always make a profitable trade—Srinivas revealed that in any situation, the bot will always follow a parameter that limits it to buy and sell at a positive value. “In order for every trade to be profitable, the bot must calculate the profitability of a trade, taking into consideration the transaction fees incurred for each trade,” he elaborated. Making it clear that due to the unpredictable nature of cryptocurrency trading (which is very much the same as the stock market), defining a clear margin for profit through trading was difficult, but according to the company, due to the way PSIGEN operates, the worst-case scenario would simply be a profit amount of zero, but never a deficit. After registering for an account on Everus, hop on over to the PSIGEN tab at the bottom. Here, you’ll be able to view your overall balance deposited with PSIGEN, the amount being traded, and total earnings. To start trading, hit the ‘Join Now’ button. You can select a trading package based on the balance left in your wallet, with a minimum of US$1,000 required to begin trading. Here you can also select which coin you’d like to use. The currently available options are: Bitcoin, Litecoin, Ethereum, EVR, or Everus Reward points. Once you’ve selected your package, you’ll receive one last confirmation prompt before making your purchase final. You’re now ready to start trading with PSIGEN. After this initial process, users will then be able to continue trading with PSIGEN at a cost that is equal to half of the earnings made through the PSIGEN bot, which is automatically deducted from the amount made. A. View all of your crypto trades at a glance on the PSIGEN dashboard. B. Each trade will be listed in detail on the Daily Earnings section, which is updated automatically every 24 hours. C. You can withdraw your trading capital at any given moment. Once you choose to withdraw, your funds will be returned to your wallet within 24 hours. D. Every transaction made, no matter a purchase or withdrawal, will be recorded in the notifications section. Besides this, the team said there are no joining or subscription fees, and neither is there a lock-in period for trading. There’s also no loss guarantee on trade capital. Users can also earn an extra 8% on daily earnings made by those they’ve referred to the Everus wallet—meaning that for every dollar made by friends and family through PSIGEN, the user will earn US$0.08. Everus also provides users the option to start and stop trading at any time, and also withdraw their initial trading capital at any given time. PSIGEN is now available on the Everus Multi-Crypto Wallet, which can be downloaded on iOS or Android. You can also read up on our full feature on Everus here. This was written in collaboration with Everus. Editor’s Note: The article has been edited since publishing to clarify who the statements are attributed to.